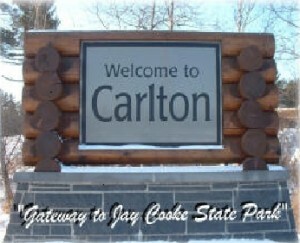 Coinciding with Voyageur race weekend, the city of Carlton, MN will be putting on their annual Carlton Daze festivities. The weekend offers a variety of events, music and food. Carlton has been fantastically supportive of the MN Voyageur for many years, and very accommodating to our route – which finishes in town at the high school. We encourage all of our participants to take in some of the activities going on in Carlton on race weekend and throw some support back their way. One area in which they would really appreciate some support is their Carlton Daze 5K on Friday evening, for which volunteer help is always appreciated. Another item we’d like to point out is their spaghetti feed on Friday night, for those of you looking to do some carbo-loading.